Takanini, Papakura, Papatoetoe, Pukekohe and Pukekohe. Have you got an used or unwanted vehicle that’s been taking up more space than it deserves? Are you ready to let go of that damaged car that hasn’t been started in over a decade? 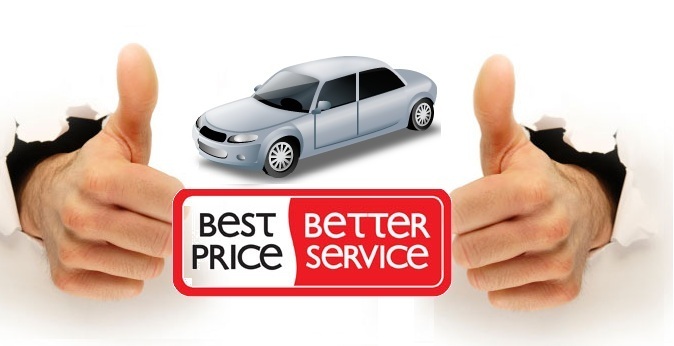 Call Car Salvage South Auckland and make your removal one that pays off in the end. We’re the removal company that Auckland south residents turn to when they’ve got an unwanted car they need removed quick and are looking to obtain a pretty penny in the process. At Auckland wreckers we don’t charge for removals- In fact, we’re keener on putting cash in your pocket! If you are looking to hand over the car number plates or anything regarding the car licensing please visit NZTA. Have you got a Scrap Car? Have you got a used truck? Car Salvage South Auckland want it! Have you got a wrecked 4×4? 4×4 wreckers want it! Have you got a junk van? Cars wrecker want it! Have you got a damaged commercial vehicle? commercial wreckers it! Have you got a unwanted boat? cash for boats want it! Have you got a Ute that’s been damaged in an accident? Car Salvage South Auckland want it! No matter the make or model, we’ll pay TOP cash for your unwanted vehicle! No matter the age or condition, we’ll give you TOP dollar! Car Salvage South Auckland will remove your unwanted vehicle free of charge! Whatever make and model, no matter what the age and condition, we will PAY YOU to come remove it for free! ‘Car Salvage South Auckland’ offers top car removal and cash for cars service in all Auckland areas and surroundings. Selling your car to us is very easy and simple. We provide 100% satisfaction with easy 3 steps to sell your unwanted car same day or a convenient time. We are Auckland’s top Cash For Cars service provider having many years experience and buying dozens of cars for top dollar. You can definitely earn up to $9000 for your old, unwanted car. Contact us on phone: 0800 70 70 99 for an instant FREE quote. You can also contact us by submitting an online inquiry. We can definitely take your old, unwanted car away and take that eye-sore off your hands, freeing up much-needed space. Instead of letting your old, unwanted car, truck, van or SUV collect dust and occupy valuable space, get in touch with our team. We will ensure it’s removed fast and properly disposed and recycled. We’re fully licensed, bonded and insured, so you can definitely sit back and relax while we efficiently handle each and every phase of car removal. Plus, once our drivers have successfully removed your old car or truck, you can count on Car Salvage South Auckland to properly dispose every single piece of the car in the most eco-friendly way possible. We often go out of way to ensure that every removed vehicle is properly recycled and we always do our best to avoid using a landfill. Some of the vehicles we collect most often include LandRover wreckers, Citroen wreckers, Holden wreckers, Chrysler wreckers, Mercedes wreckers, Peugeot wreckers, Toyota wreckers, Nissan wreckers, Mitsubishi wreckers, Honda wreckers, Isuzu wreckers, Mazda wreckers, Subaru wreckers, Audi wreckers, Alfaromeo wreckers, Volkswagen wreckers, Ford wreckers, Suzuki wreckers, Skoda wreckers, BMW wreckers and many more., and many more! This entry was posted in car removal Auckland suburbs and tagged Best Car Salvage South Auckland, car removal, Car Salvage South Auckland, car wreckers Drury, car wreckers Mangere, car wreckers Manukau, car wreckers manurewa, car wreckers Otahuhu, Car Wreckers Otara, car wreckers Papakura, car wreckers Papatoetoe, car wreckers Pukekohe, Car Wreckers Takanini, car wreckers Tamaki, cash for cars, cash for trucks, cash for vans, Scrap my car, scrpa car removal, sell car for scrap, wreckers buy cars in South Auckland, wreckers pick up cars in South Auckland on November 24, 2017 by Cars Wrecker. Home of cash for cars and biggest auto recyclers in South Auckland. Car Wreckers Takanini (also trading as car wrecker Auckland) is the premier Takanini based Auto Dismantlers and scrap recyclers. We are situated at 19 Birmingham Rd, Auckland . 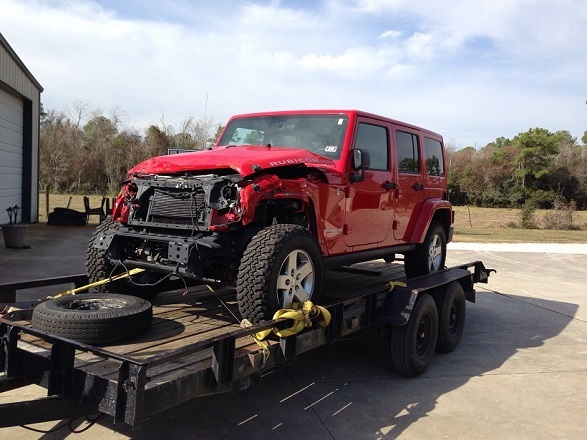 Why Choose Car Wreckers Takanini? Paying top cash for junk cars from $300-$9000. Offering FREE same day auto removal throughout Auckland. FREE cash quotes within 24 hours – no obligations. Buying all brands, make and models. Do you expect anything more from the best Car Wreckers Takanini? Please let us know and we would be happy to incorporate into our auto wrecking and removal services. We buy cars, vans, trucks, 4×4’s, light commercials and all other unwanted vehicles. We buy every condition, including damages, dented, accidental, broken, junk, scrapped, burnt, flooded, old, used, NO WOF – we buy everything. On the top of all make, models and condition – Car Wreckers Takanini buy all major brands like Citroen wreckers, Holden wreckers, Chrysler wreckers, Mercedes wreckers, Peugeot wreckers, Toyota wreckers, Nissan wreckers, Mitsubishi wreckers, Honda wreckers, Isuzu wreckers, Mazda wreckers, Subaru wreckers, Audi wreckers, Alfaromeo wreckers, Volkswagen wreckers, Ford wreckers, Suzuki wreckers, Skoda wreckers, BMW wreckers..
We are also the part of the Classic, Korean, European, American and Japanese Wreckers Auckland businesses. As a premier motor wreckers in Auckland – we are keeping the massive inventory of auto parts of all major make and models. Give us a call on 0800 70 70 99 for all the auto parts inquiries. All of auto spare parts in our inventory are fully tested and permitted by the professional mechanics and automotive experts. auto wreckers Takapuna, auto wreckers Silverdale, car wreckers Henderson, car wreckers Papakura, car wreckers Kaitaia, car wreckers Waitakere, car wreckers east Auckland, car wreckers South Auckland, car wreckers Manurewa, car wreckers West Auckland, car wreckers North Shore, car wreckers Whangarei, car wreckers Huntly, car wreckers Hamilton. The Team at Car Wreckers Takanini is absolutely passionate about the keeping the environment safe and sound. We got the certified auto recyclers who process the vehicle dismantling, disposal and recycling in an appropriate way. We care about car recycling in New Zealand. This entry was posted in car removal Auckland suburbs and tagged audi Wreckers Takanini, auto Wreckers Takanini, BMW Wreckers Takanini, Car Wreckers Takanini, Car Wreckers Takanini Auckland, European Wreckers Takanini, Honda Wreckers Takanini, japanese Wreckers Takanini, Korean Wreckers Takanini, scrap car yard Takanini, scrap cars Takanini, Toyota Wreckers Takanini, truck Wreckers Takanini, wreck carfor cash Takanini, Wreckers Takanini on July 25, 2016 by Cars Wrecker.